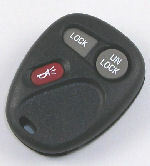 Is your keyfob keyring hole half-broken and ready to pop off? Buttons worn out? Don't lose your precious $100+ remote control... and don't go to the dealer to buy a whole new remote when all you need is the casing!! 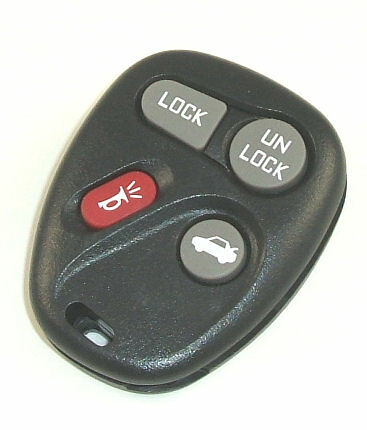 We have NEW, Black, OEM casings for the remote control of your GM, Saturn, Chevrolet, Olds, Pontiac Vehicle. This is the casing only and is a great replacement if your buttons rub out of the keyring hole of your remote control is nearly broken! Shipping is FREE via first class mail within the USA & Canada on this item. To replace your remote, you simply snap the old remote open, remove the battery, remove the electronics, and transfer them into this new casing. The whole process takes less than 5 minutes!!! We now have the 3 button version for vehicles without a trunk.